The Mayan Astrology Sign Qanil is about life and creation. It's about love and abundance. It's about beginnings and growth. It's the seed that was planted to begin life in the universe. The Day Qanil in the Mayan Calendar: This day-sign is a good day to start love and business relationships. It's also a good day to recover something that was lost. It's the day to ask for what you want. 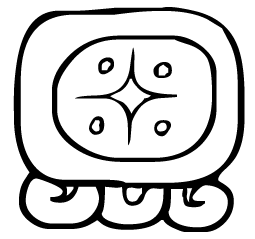 Characteristics of the Mayan Astrology Sign Qanil: You are very creative and intuitive. You are able to accomplish many things, and readily accept responsibility. You enjoy traveling. You love life and enjoy taking care of people around you. You do well with change. You succeed at everything you start, as long as you are patient enough to allow things to complete. Whenever you feel stressed or tired, you find restoration in reading and in nature. The peace and tranquility you find in these two things brings you the security you desperately need. You enjoy children and are a great parent, but your protective nature can make you stifling at times. To be truly successful, you need to take responsibility for your life and stop criticizing yourself so much. Be patient with yourself and trust that you can do the impossible. You could do well as a farmer, doctor or artist.